When I was in 6th grade my grandpa flew to Germany and stayed with us for a few weeks. He and I pulled out my dad’s train set and put it together. I remember the really old catalogs from the 1950s that my dad had. Tonight Katja was sitting on my lap looking at my old LEGO catalogs. She must have sat there for 45 minutes going through them. 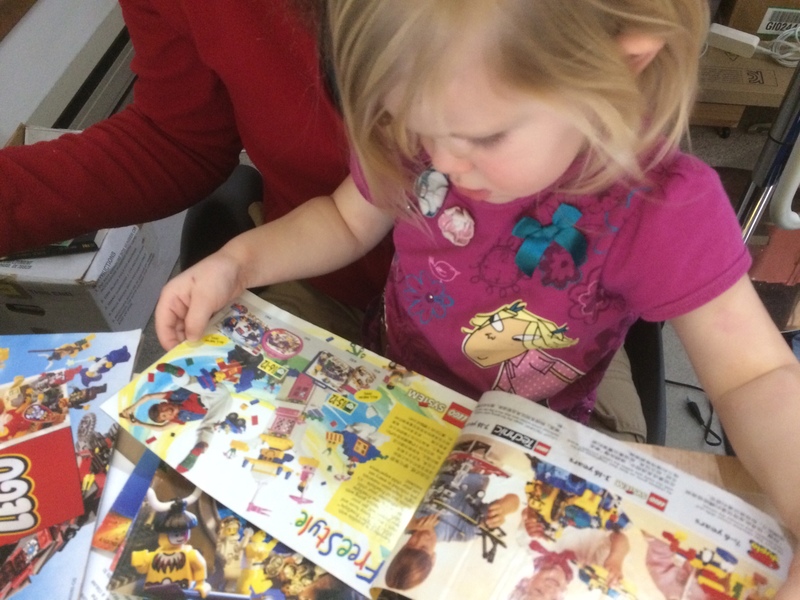 This entry was posted in Other Journals and tagged katja patersonová, lego, Lionel by Hugh Paterson III. Bookmark the permalink.